When you are shopping around to buy a brand new car, or even a second hand one for that matter, there are a number of things that you will need to take into consideration. Unless you are the exception, the most important things are the type of car and your budget. If it is a second hand car, you may also decide that you want to get someone like the AA to come out and inspect it to make sure that it is roadworthy. You may also need to arrange finance on the vehicle so will try to get the best deal. You may even check what the road tax is going to be. 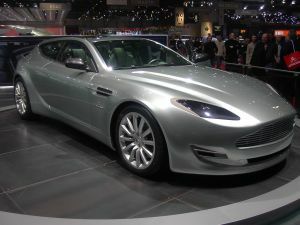 Which car insurance group do you think an Aston Martin is going to fall within? However, another important thing to look at these days is how much the car insurance is going to be. So, how do you go about checking this before buying the car or do you not bother? Most people tend to go on the Internet and key in details of the car into a car insurance price comparison website, That is fine but what if you are looking at half a dozen different makes and models? Instead, what you could do is look at the list of cars in each car insurance group to get an idea of which are the cheaper cars to insure and which are the more expensive ones. There are fifty car insurance groups ranging from 1 to 50 with 1 being the cheapest and 50 being the most expensive. As a general rule you tend to find that the lower priced cars will be cheaper to insure and the more expensive cars will be the most expensive to insure. This makes sense as you would expect a cheaper priced car to be cheaper to repair and replace many of the parts. You can look at this list of car insurance groups on the Internet. This entry was posted in News and tagged car insurance, Car Insurance Groups, Car Insurance Price Comparison Websites. Bookmark the permalink.